Are S Club 7 reuniting? There’s loads of rumours flying round that super 2000’s pop group S Club 7 could be reuniting! The group dominated the charts between 1999 and 2003, racking up an impressive ten top 3 singles with hits like ‘Reach’, ‘Don’t Stop Movin” and ‘S Club Party’! They even had their own TV series that followed the group as they toured around America! Last month, band member Rachel Stevens said that the band had not reformed because it was too difficult to get them all in the same room – but since then the group have all been posting old photos which makes us think a reunion could be on the cards! 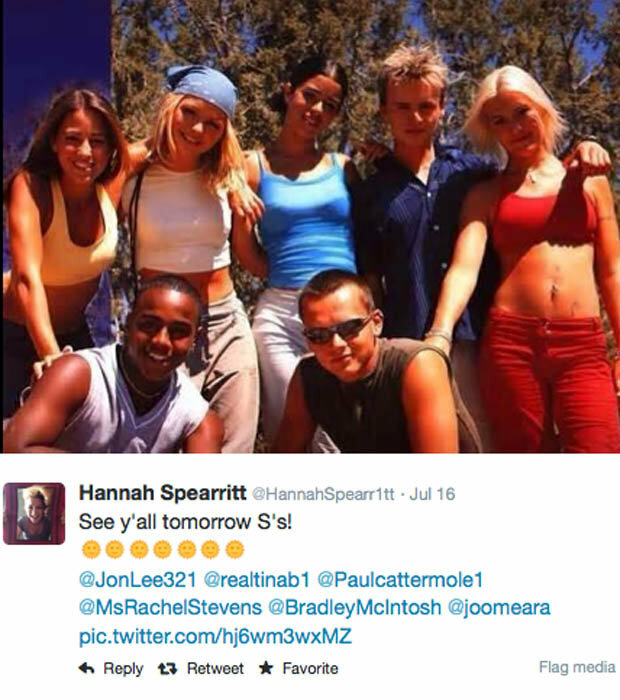 Just look at this one from Hannah Spearritt! After the success of other pop comebacks, like Take That and Busted, there’s definitely loads of people who’d want to see them together again! Do you think S Club 7 will get back together? Let us know in the comments below.